Please help me develop some useful information for analysis – about the Microsoft BI & reporting products you are using. There will be more polls in the future. I’ll share the results for all. Questions, suggestions or feedback? Leave a comment and I’ll reply. Are you using or planning to move to a SharePoint BI solution? What components are used in your BI solution? 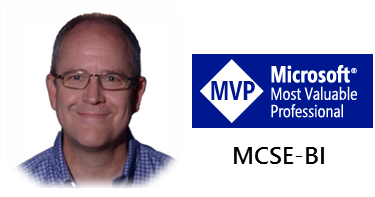 What version of SQL Server does your organization use? Your participation is appreciated. In the future, use the POLLS menu bar button to find the latest poll questions and results. The Analysis Services team has been working overtime lately to provide added community support for the traditional UDM-based OLAP engine (not that any of our friends in Building 35 have actually ever worked as little as a 40 hour week during their tenure at Microsoft!) In light of the team’s focus on project Gemini (now known as PowerPivot and the forthcoming BI Semantic Model in SQL Server Denali) over the past couple of years, it’s very encouraging to see their continued commitment to this staple analytic data platform. Last year they announced the Maestros enterprise-scale training and certification program with the second round of sessions scheduled this month in Redmond and Madrid. The latest deliverable is the SQL Server 2008 R2 Analysis Services Operations Guide, a very comprehensive, 108-page document that focuses on operational support for Analysis Services database servers and solution environments. This guide was written by Thomas Kejser, John Sirmon, and Denny Lee from the SQL Server Customer Advisory Team (SQLCAT); with contributions from 26 product team members and leading independent industry experts; which include Alejandro Leguizamo and Alberto Ferrari from SolidQ. I attended an excellent session at TechEd 2011in Atlanta last month by Adam Jorgensen on large-scale SSAS operational guidance where he made reference to the forthcoming operational guide. For more information on SSAS best-practices and product support, visit the SQLCAT community site. If you’re looking for a resource on the Data Quality and Master Data Management features in SQL Server 2008 R2, a new book is available. 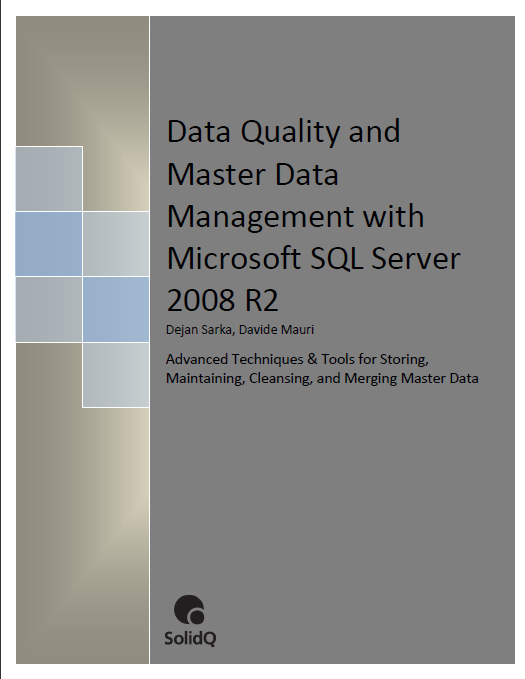 My colleagues Dejan Sarka and Davide Mauri at SolidQ have completed their book on DQ & MDM in SQL Server 2008 R2 and it’s available as a free download. Yep, that’s right, no strings attached. “Data is the key asset of any company. However, not all data is equally important. In an enterprise, we can always find the key data, such as customer data. This key data is the most important asset of a company. We call this kind of data master data. If everyone would always insert correct data into a system, there would be no need for proactive constraints or for reactive data cleansing. We could store our data in text files, and maybe the only application we would need would be Notepad. Unfortunately, in real life, things go wrong. A good and suitable data model, like the Relational Model, enforces data integrity through the schema and through constraints. Unfortunately, many developers still do not understand the importance of a good data model. Nevertheless, even with an ideal model, we cannot enforce data quality. Data integrity means that the data is in accordance with our business rules; it does not mean that our data is correct.